Alexa Dembek is Chief Technology and Sustainability Officer for the Specialty Products Division of DowDuPont. Alexa leads alignment of business strategy, innovation strategy and portfolio choices to increase the speed and scale of impact from science-based innovation investment across the Specialty Products business units. In addition, Alexa has oversight for the Regional organizations, Community Investment and Corporate Science & Innovation, an organization dedicated to driving business growth through the support of strategic, early-stage innovation programs and mission-critical, highly leveraged and differentiated technology capabilities. The partnership across these organizations drives entrepreneurial, innovation-based growth through close collaboration with customers and strategic partners. Alexa’s passion for science-based innovation contributing to business growth is a consistent theme throughout her career. She joined DuPont in 1991 as a Research Chemist at the DuPont Experimental Station in Wilmington, Delaware. In 1995, she relocated to Richmond, Virginia, as a Technical Manager to drive growth opportunities and category leadership for DuPont™ Kevlar® and Nomex® in DuPont Protection Technologies. From 1997-2005, she assumed roles that spanned a broad range of end-to-end innovation areas, including supply chain, operations, sales, marketing and business leadership. In 2005, Alexa relocated to Wilmington and was appointed leadership roles in Building Innovations, first as Commercial Business Segment Manager and later as North America Marketing Manager. 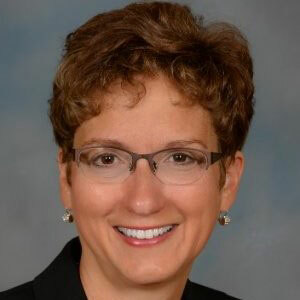 She transferred to DuPont Performance Polymers in 2006 to lead the global DuPont™ Vespel® business and in 2009, assumed additional responsibilities for the global DuPont™ Kalrez® business. In 2011, Alexa was named Regional Director, DuPont Performance Polymers, Americas and in 2013, she became Global Business Director for the corporate new business development venture in Energy Storage. In 2015, Alexa was appointed to lead DuPont Central Research and Development. Alexa assumed her current role on September 1, 2017. Alexa holds a Bachelor of Science degree in Chemistry from Northern Illinois University and a Doctor of Philosophy degree in Chemistry from Pennsylvania State University.